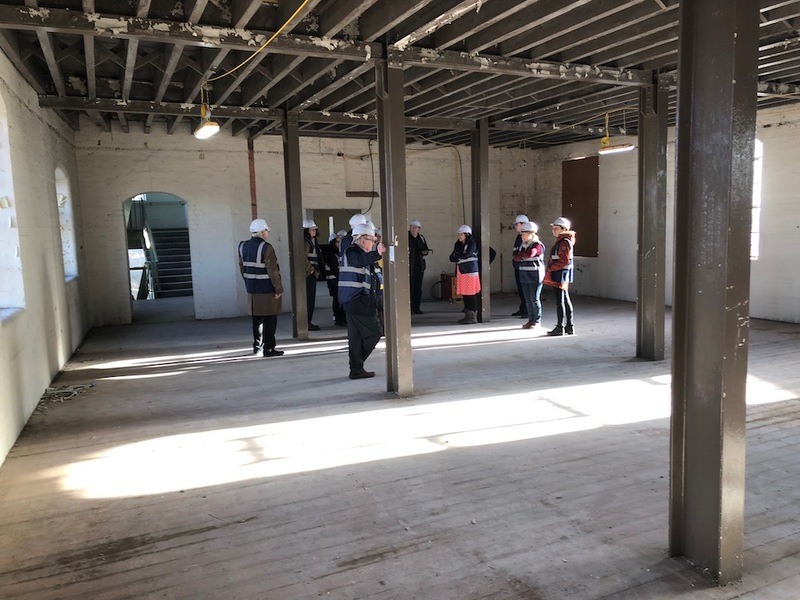 Through the good offices of both Messrs. Speller Metcalfe, the Principal Contractors for the Silk Mill refurbishment project, and of course our partners, Derby Museums, we were afforded the opportunity to view progress of the work as at the middle of January. This was an ideal time for the tour as it marks the point where the building has been taken back to its bare bones. With all the internal walls having been removed, along with many other later additions like suspended ceilings, it was possible to view the building in its most raw state. To say that the transformation is astonishing would vastly understate the point. Corners of the building once so familiar are now part of a wide open space in a completely disorienting way. 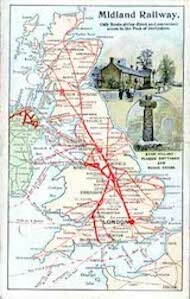 The images which follow show the parts of the building most relevant to the Midland Railway Study Centre. 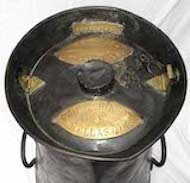 Further information and more images from the works can be found on Derby Museums' Tumblr blog. The tour was led by Daniel Martin, Head of Curatorship and Curator of Making for Derby Museums, alongside Guy Smith of Beaumon Lyons Architects, who proudly reminded us (justifiably so) that he has been working on this project since 2011. 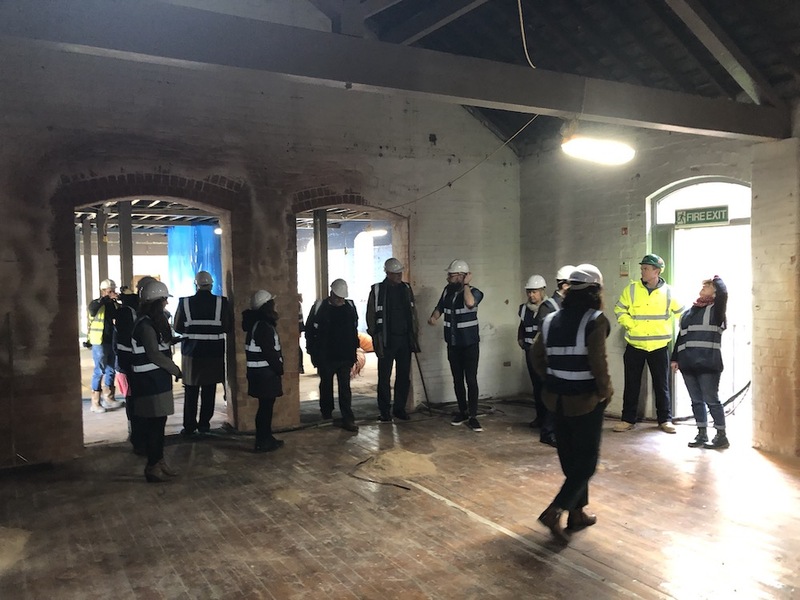 Here Guy is outlining plans for the glass atrium, to be known as the Civic Hall, which will form the striking new main entrance to the Derby Silk Mill Museum of Making. 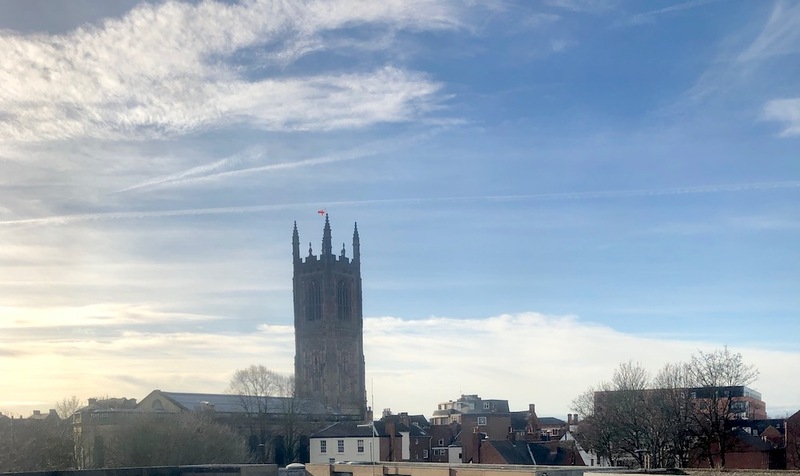 This view, astonishingly, is taken from where the entrance to the Study Centre used to be, looking into what was once upon a time the Reading Room. Compare this with the top two thumbnails which appear on the right hand side of this page! Similarly, this view is taken from where the Dexion pigeonholes for rolled plans used to be, looking past the site of the framed & glazed racking (indicated by the vertical marks on the wall), through to the back room. Here Daniel is explaining how the new Reading Room for the Study Centre is to be created as a mezzanine in the rafters of our old back room, which will form our main store when we move back in. The lefthand of the two arches will form a glazed display area allowing visitors to see a regularly changing selection of objects or documents from our collection and the doorway in the right hand arch will also be glazed. We have now moved up a floor. The roof visible through the window is that of our store room, as seen above the tour group in the last view. 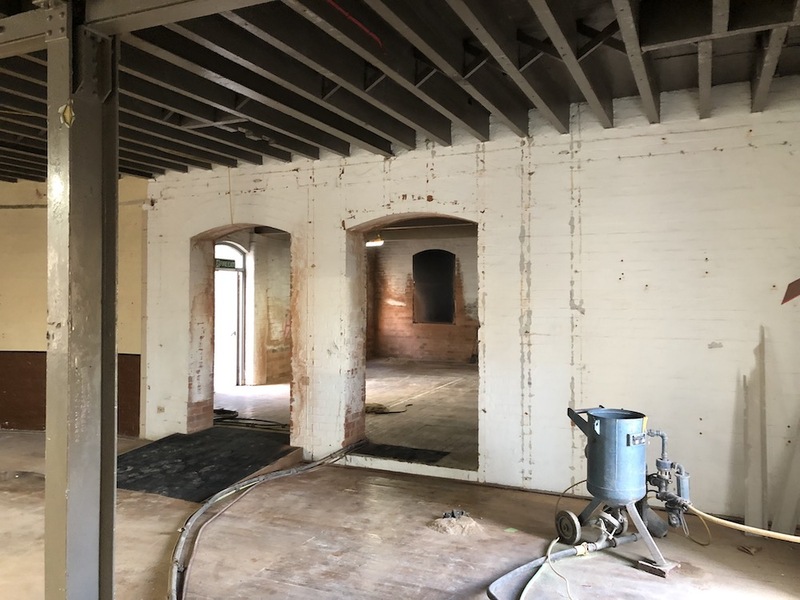 The red X on the wall marks the spot where the builders will be knocking through to form the main (step-free) access to the new Reading Room of the Midland Railway Study Centre. 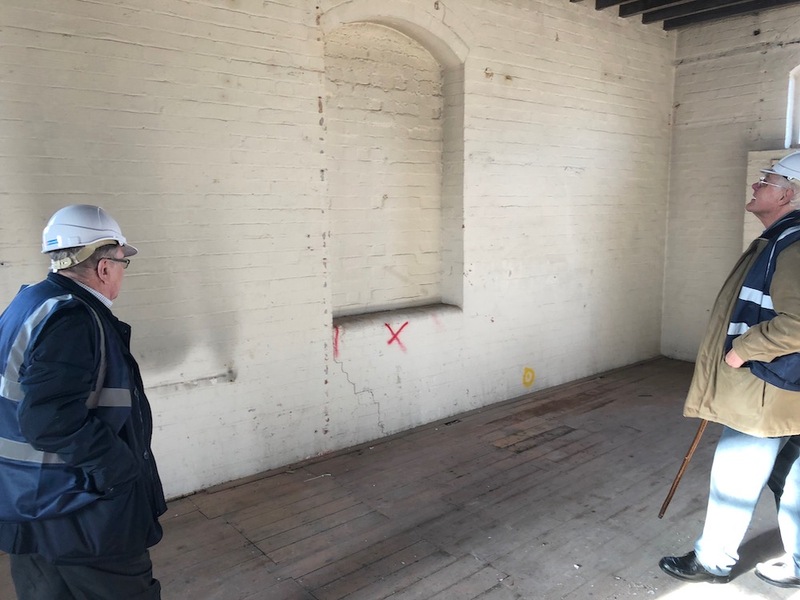 Committee Member Steve Huson (left) and Collection Committee Chairman, David Geldard are examining the future main entrance to the Midland Railway Study Centre. 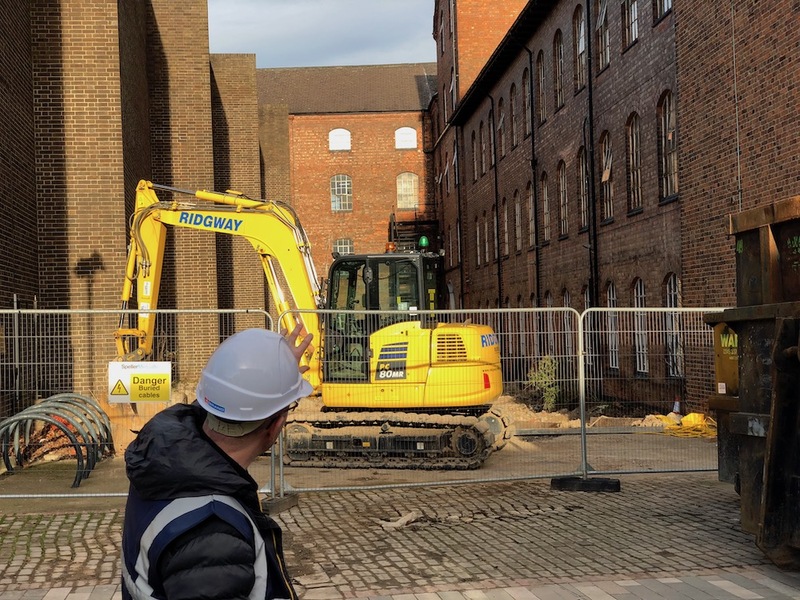 Looking back from the new Study Centre entrance, this area will be where the Museum's famous model railway will be restored to far more than its former glory. 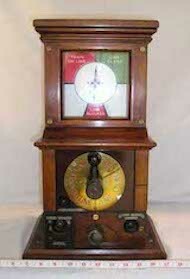 The new incarnation will allow the public to see behind the scenes and watch it being operated. 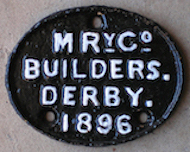 Displays around this area will be used to tell the story of railways in Derby, in particular the part played by the Midland Railway. 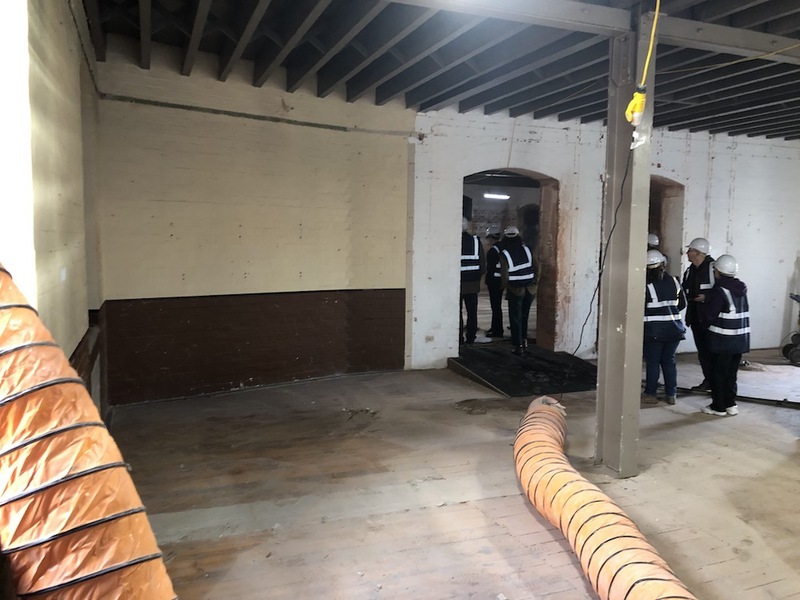 The second floor of the Silk Mill was once a labyrinth of store rooms (and before that was the site of the EMEB Social Club). 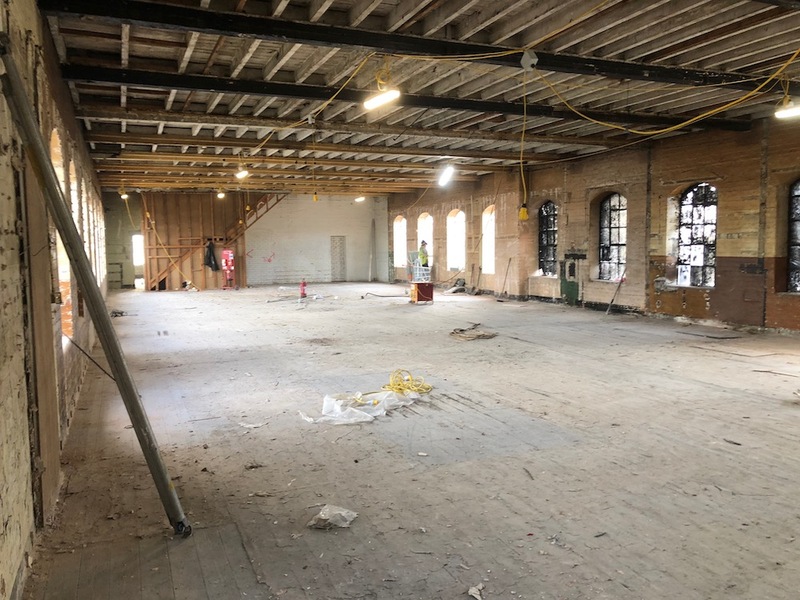 When the Silk Mill reopens this will still be a storage area but, crucially, it will be open to visitors so that entirety of the collections will be accessible — including all the three-dimensional objects of Roy F Burrows collection for the first time ever. 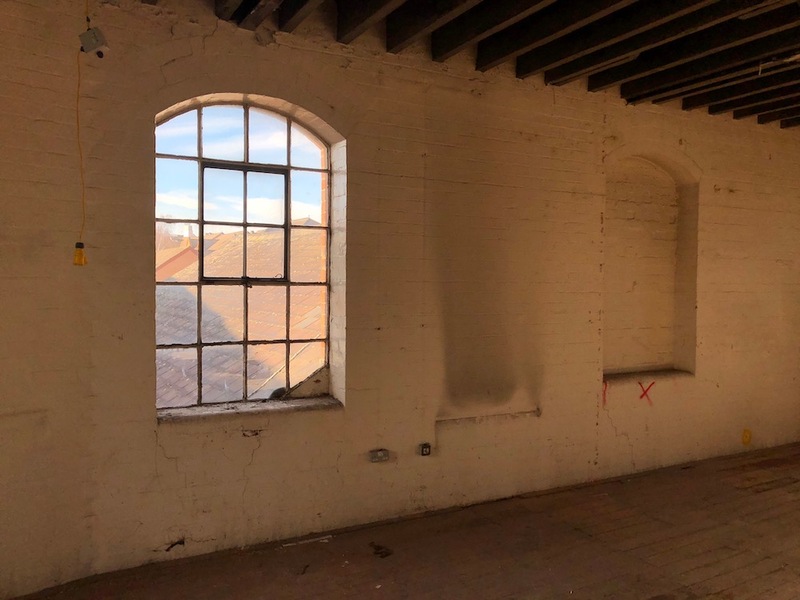 Though not directly relating to the Study Centre, one part of the project which is sure to attract a lot of attention is the provision of a viewing platform within the Silk Mill's iconic tower. 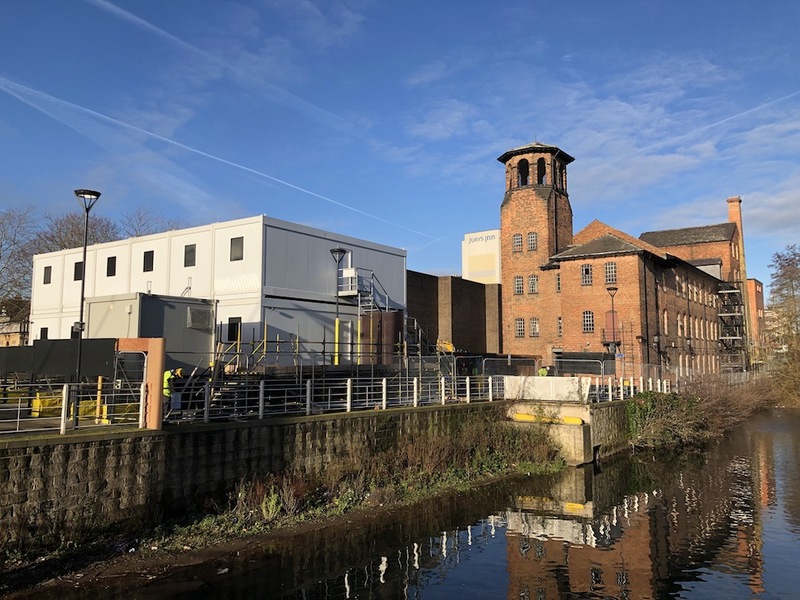 Previously this has been completely inaccessible and so this innovation is particularly welcome, opening up views of the Derby skyline a little bit like this. (Though maybe with less of Western Power Distribution's huge sub station in the foreground). Having got the site prepared, construction work is starting to gather momentum with the steelwork for the Civic Hall due to be erected in Spring. Further updates which relate to the Study Centre, will appear here.